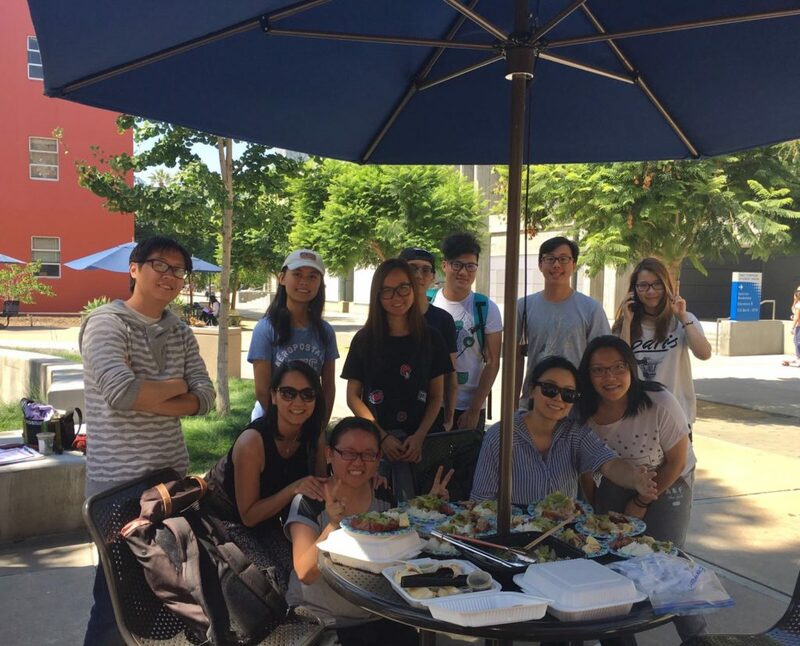 In March 2016, Pastor Alan Lee, my congregation pastor, had a vision to outreach the Cantonese speaking students at San Jose State University (SJSU). The “Soup Club” idea popped up. We decided to bring home-made soup to campus and serve the students during lunch once a week. We started by prayer walking around the campus and passed out flyers to some potential students. We were able to gather a few students and kicked off our first “Soup Club.” Since then, we bring food to campus every Thursday and serve lunch at the open tables outside the Art Building. In addition to providing heart-warming homemade cooking to the students, we also share some short Bible message to them every time. We also have opportunities to pray for them. Most of the students that have joined us are transfer students. We got to meet with these students for one or two semesters and then they graduated. Some students just came to the lunch a couple of times and then we never saw them again. However, there are also a few students who have started to attend fellowship and the Cantonese service at SJCAC. Sometimes, I feel that I’m not building any long-term relationship with these students. They are like sojourners to me. But God reminded me that I am like a farmer who sows the seed. I may not see the harvest but I need to seize every opportunity to plant the seed. Last December, I found out that there were 2 students who came from Asia who had never heard the Christmas story. They did not know the reason why we celebrate Christmas. However, God gave me the opportunity to share with them through “Soup Club.” One of the students even joined us for caroling in our church neighborhood on Dec 15th. 14 But before people can pray to the Lord for help, they must believe in him. And before they can believe in the Lord, they must hear about him. And for anyone to hear about the Lord, someone must tell them. 15 And before anyone can go and tell them, they must be sent. 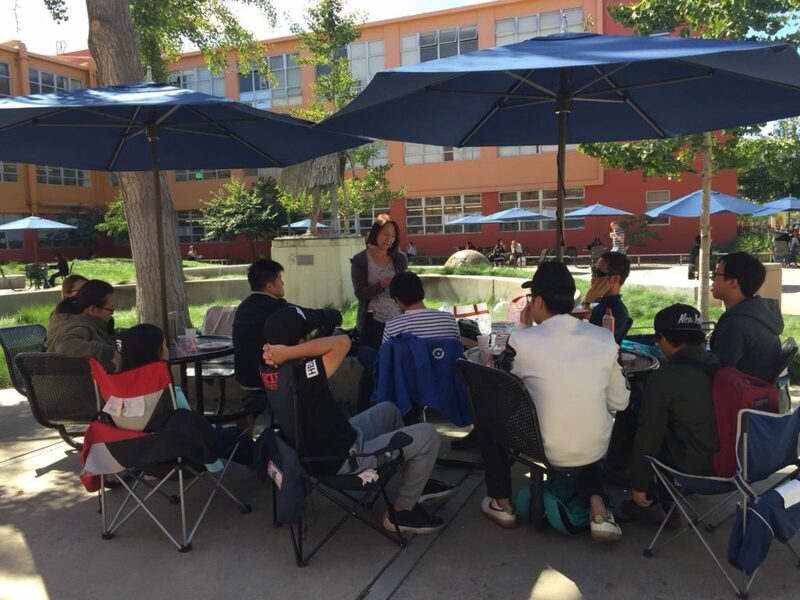 SJSU is a mission field in close proximity to our church. We don’t have to travel far away to find those that have not heard of Him. God already brings in the lost to the SJSU campus. Spring semester is starting this week and I’m looking forward to seeing some returning students that we met last semester. I’m also excited to see how God will lead us to some new faces and relationships. Will you intercede for me and our team for the “Soup Club” ministry this semester? Bless us to bring light, hope and the Good News to SJSU students.